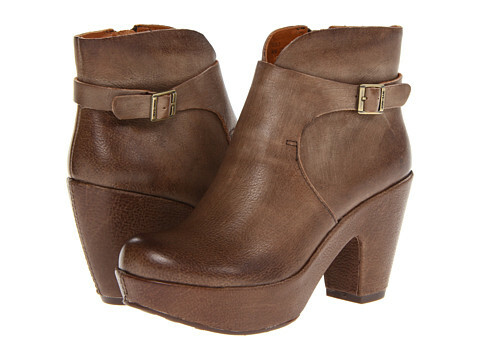 Another great shoe from Kork-Ease. Their products are very well made. This company makes well-made product. Many of their shoes are with a wedge bottom which relieves a lot of forefoot pain (bunions, ball of foot pain, neuromas). 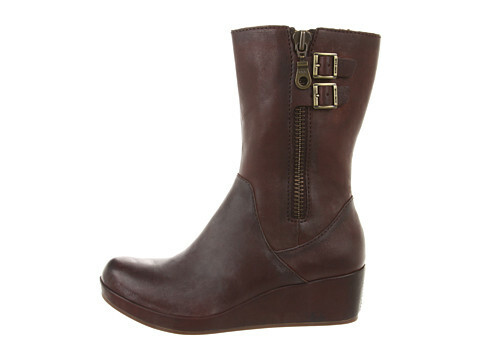 The height of this boot is nice for stepping through rain puddles as well! I think your closet still has room for this sandal before fall gets here. 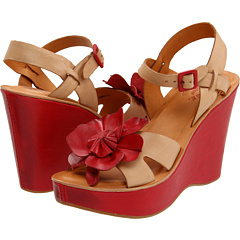 I wanted to suggest a heel in the spirit of Valentine’s Day. I’m a little late. How about this great boot? 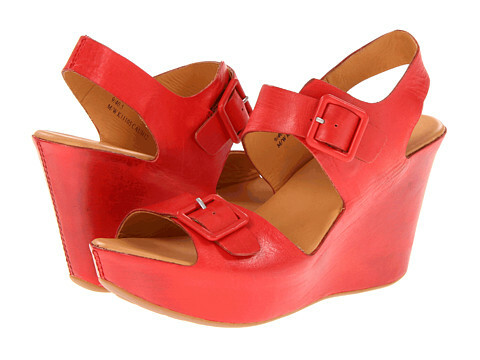 This sandal is pretty high, but the platform and rigid wedge transform it into magic. Not for those with ball of foot pain.